U.S. retail giant Walmart is reportedly just weeks away from reaching a deal to buy a majority stake in Bangalore-based Flipkart, India's leading e-commerce company, a Reuters report said adding, however, that U.S. e-commerce giant Amazon could yet spoil the party and swoop in with a last-minute takeover bid. 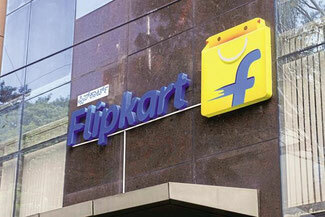 Will Walmart win Flipkart battle, or Amazon? According to media reports both U.S. companies are eyeing to buy a substantial stake in Flipkart, with both firms valuing Flipkart at US$20 billion. Walmart would initially take a minority stake that could go up to 50 or 60%. The amount will depend in part on which of Flipkart’s existing shareholders want to sell, including Japan's SoftBank Group and Tiger Global Management. CNNMoney quoted Siddharth Shekhar Singh, a marketing professor at the Indian School of Business in Hyderabad as saying that "Amazon is looking to reduce costly competition (with Flipkart) so that it can focus on developing its business." Singh added that "while Walmart could give Flipkart a lot of ammunition in its battle with Amazon, a deal between the two online retailers instead could avoid billions of dollars being wasted on a fight to the death. Despite an Amazon offer of up to US$2 billion as a "breakup fee" - an insurance policy of sorts that Amazon would pay Flipkart if the U.S. company backed out of takeover talks, Flipkart is reportedly leaning towards Walmart, which - unlike Amazon - is not a direct competitor and could help it take on the U.S. tech giant. A Bloomberg report said that following a recent board meeting to discuss the competing proposals, Flipkart’s board believes that Walmart could close a deal more quickly and smoothly. Walmart faces fewer regulatory hurdles because it has no online retail presence in the country now, while Amazon is the second-largest e-commerce player and Flipkart’s primary rival. Flipkart founders Sachin and Binny Bansal also favour Walmart because they would continue to help lead the business and the U.S. company’s executives have emphasized their commitment to the market. Reuters reported last week that Walmart completed its due diligence on Flipkart and had made a proposal to buy 51% or more of the Indian company for between US$10 billion to US$12 billion. A deal with Flipkart would step up Walmart's battle with Amazon.com for a bigger share of India's fledgling e-commerce market, which Morgan Stanley estimates will be worth US$200 billion in a decade.